When Eliza Doolittle is finally able to say, “The rain in Spain stays mainly in the plain,” Henry Higgins blurts out, “I think she’s got it! By George, she’s got it!” At last she was able to suspend her cockney accent and pronounce words properly -- or at least properly to the ear of upper class Henry Higgins. I think of that scene from My Fair Lady when I recall a conversation I had with a student years ago. I had assigned an exegetical paper for a course that I was teaching at Luther Seminary. I had given some instructions to the entire class about what I was looking for in the paper, but a student came up to me after class and said that she still did not understand what I had in mind. There is more to doing an exegetical project than that, and more than that in preparing a sermon, and we can all go on to talk about that, but paying attention to the words in a text and seeing how they work with others on the page is surely foundational for exegesis and for exegetical work on the way to preparing a sermon. One of the purposes of having a student do an exegetical paper in seminary course work is that it causes that person to slow down, think about the words on the page like never before, and thereby begin a habit that will last throughout a ministerial career. While preparing for a sermon it certainly does pay to slow down, read the text with care, and ponder the words that are there. No matter how good one’s ability to use Greek is, it is especially important and useful to examine the text in Greek. Insights for preaching often, even if not always, come about while thinking about those Greek words and how they are used in particular contexts. The amount of helps for the use of the Greek New Testament is abundant, both in books and in electronic form. Greek-English dictionaries, theological word-books, inter-linear Greek-English texts, and computer programs for biblical studies can be purchased and put to good and efficient use. One of the more useful tools -- and most affordable, in comparison to others -- that I have encountered is the five-volume New International Dictionary of New Testament Theology and Exegesis, edited by Moisés Silva and published by Zondervan in 2014. The work has an interesting history, and that will be summarized later on, but first some comments about this resource are in order. As in other dictionaries of the Bible based on the Greek text, the entries are in alphabetical order and of varying length, depending on the complexity of a term and/or its amount of use across the New Testament (such as the Gospels, Letters of Paul, Acts, and so on). The dictionary form of a word is printed at the outset, meaning that nouns and adjectives are in nominative case (such as karpos, “fruit,” and kalos, “good, beautiful, noble”) and verbs are in first-person singular (such as gameo, “to marry”). The words are printed in Greek font (but transliterated here). The word is then followed by related words in Greek. For example, the Greek word for “fruit” is followed by Greek words associated with it, such as the Greek verb meaning “to bear fruit” and the Greek adjectives for “fruitful” and “unfruitful.” Each entry then lists related concepts, carries on a discussion of the word and those words that are related to it, and concludes with a brief bibliography. As the title implies, the Dictionary is a theological and exegetical resource. 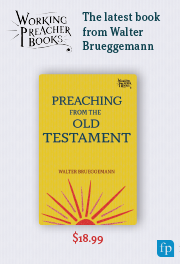 The articles within it are therefore not devoted simply to lexicographical matters, but are consciously written to help the reader grasp the theological significance of a word in its context and for exegetical work on the New Testament. There is no attempt to reduce the meaning of a word to a single, common one, unless that is possible and appropriate, but to explore nuances within actual texts. Occasionally, as in the case of the articles on baptism (bapto) and righteousness (dikaiosyne), brief discussions of modern interpreters are brought into discussion (so J. Jeremias, O. Cullmann, and K. Aland are cited on the question of infant baptism in the early church, and E. Käsemann and others on the ‘righteousness of God’ concept). Other interpreters are often referred to in the course of the discussion of various words as they show up in particular texts. References are made to major commentaries, monographs, and articles. A distinctive feature of the Dictionary is that at the outset of the first volume it has a “List of Concepts.” The list refers to particular words that fall within the sphere of general ideas. So, for example, if one looks at the concept of “Love,” there are six Greek words that have relevance, or if one looks at “Conduct,” no less than nineteen entries are listed. The question whether there is a particular viewpoint or even bias (conservative, liberal, or somewhere in between) is appropriate. The use of the New International Version (2011 edition) as the basic text for biblical quotations (with occasional use of the New Revised Standard Version for comparative purposes) might give the immediate impression that the work reflects a conservative evangelical viewpoint. But the use of the NIV should be no surprise, since the publisher of the Dictionary is also the NIV’s primary publisher in the US. By and large, the work appears to represent main-stream scholarship. When a topic is contested in current scholarship, that is noted, and varying viewpoints are presented in fair and balanced ways. The final volume is an index to the previous four. It consists of 396 pages and contains indexes for what one would expect: chapters and verses in the Old Testament, New Testament, and Apocrypha, but also references to passages in three other bodies of literature: secular Greek literature, Jewish literature (beyond the OT and Apocrypha), and post-New Testament Christian literature (the Apostolic Fathers especially, plus others). There are also indexes of Hebrew, Aramaic, and Greek words, indicating where to find them discussed in the previous volumes. As mentioned above, the Dictionary has an interesting history. In fact, one might better say that it has a genealogy worthy of note that goes back two generations. The immediate previous generation is a three-volume work with a shorter title, the New International Dictionary of New Testament Theology, edited by Colin Brown (Zondervan, 1975-78). That work, in turn, was based on a German dictionary, the Theologisches Begriffslexikon zum Neuen Testamentum (2 volumes, 1970-71). But the English version was not simply a translation of the German one, for it was enlarged significantly to include more material. In addition to the German authors, at least a couple dozen American and British authors were included (144 names are listed as authors altogether). The latest version discussed here contains even more articles, and articles from the former English version have been revised and updated. There are other dictionaries of the New Testament and of the Bible as a whole, plus dictionaries of the Old Testament, that are available for exegetical and theological work. Some consist of a single volume, others of several. Some are based on the English Bible, others on the biblical languages. They all seek to fulfill different purposes. This five-volume set is one of the most useful for the interpreter who makes use of the Greek New Testament. It deserves space on the shelf and easy access for the preacher and teacher wanting a reliable, thorough, but also efficient, companion to aid biblical interpretation.